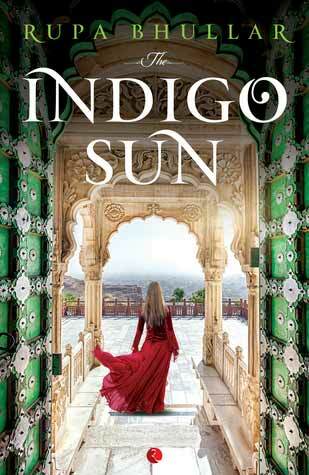 Indigo Sun is about Maya, an NRI girl who has returned to Rajasthan in search of her true self, a purpose, and her home. On her journey she travels places and meet several people, finding herself joy in small things and small gestures. Her journey is particularly accompanied by Ananda, son of a guard working at the resort she’s staying at, Leela, an enigmatic gypsy and Hukum aka Veer, an entrepreneur and philanthropist who is almost worshipped by the entire village. Right from the beginning of the book I had my doubts. Not really a unique plot, but let’s get to that later on. After turning a few pages, I began to notice a few problems with the book. Though, you might not see those as problems at all since opinions are always too objective. Why does everyone Maya meets is so high on spirits and have such philosophical set of minds? Ok, I would agree that in India every other person wants to impart gyaan even if they have never followed it in their life, but it was too much in the book. Every single person! As if everyone in the world is happy, intelligent and philosophical, everyone except our protagonist. No, that’s not realistic at all. And, I prefer books which are either totally fantasy, or totally realistic and not the ones which wants to be realistic but belong to a fantasy world. The little events seemed so well-placed that they don’t move the story forward, but literally push it in the direction the author wants it to, like the random encounter with Leela suddenly turns into a big mysterious plot, bursting of tire in the middle of the desert to somehow make Leela heart to the desert sounds, or driver’s request to breakfast at Ajmer and then requesting to visit Dargah just so she could meet a random old man with great wisdom and story. Everything seemed so cliché. The plot seemed to weak that I found it really hard to read the book, in the end giving up before reaching the end. So, I don’t really know if all those little events make some sense in the end or not, but to me they didn’t. Only thing that I found interesting in this book, The Indigo Sun, was exploration of the culture-rich Rajasthan. Rupa Bhullar has done a good job in narrating and describing the scenes and events. Writing style is as such nice, with a good use of vocabulary and excellent prose. But, sadly, this book wasn’t really my cup of tea. The characterization fell weak as well on the background of a weak plot and things seemed so unrealistic that never could connect to the characters, including the protagonist. The overall pace of the book was alright. Cannot comment about the resolution as I never made it there but do let me know in the comments what really happened at the end if you happen to read it. (Though, I have a strong feeling that I already know the ending, and it took me a few pages only to reach that conclusion). Oh, I totally forgot, the book cover was interesting as well, immediately piquing some interest. From the cover I had an intense feeling of a fantasy book. Or, was it a fantasy book? Overall, a book with excellent writing, but a weak plot. I don’t know who I can recommend this book to. But if you go ahead and read it, I would love to hear out your opinion. Anyhow, the book has received good response and nice ratings, so might just be me after all.